March 23rd in Plugin Lists by Wordpress Jedi . 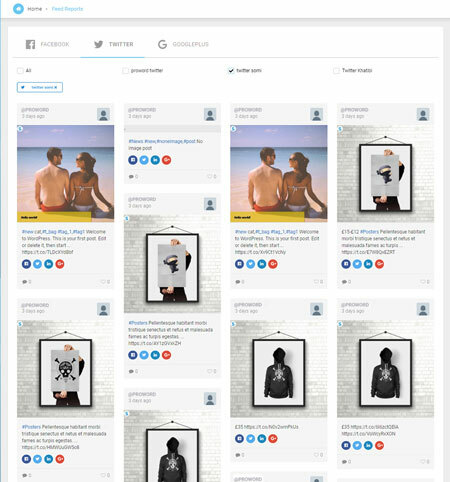 Twitter is still one of the most popular social networking sites around, capable of driving a ton of traffic to your website or WooCommerce store. Thanks to plugins like WooCommerce Product to Twitter, you can share your offers with your Twitter friends to encourage them to take action. January 28th in Wordpress Plugins by Wordpress Jedi . Twitter is still one of the most popular social platforms around. By encouraging your visitors to tweet your posts, you could reach more people and further grow your presence. 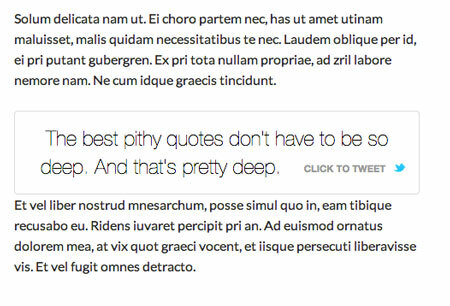 TweetDis is a handy plugin that lets you turn any phrase into a tweetable. December 1st in Social Media, Wordpress Plugins by Wordpress Jedi . Twitter can drive a ton of traffic to your website if you play your cards right. Having magnetic shareable content is important, but you also need to make it easy for your visitors to share your posts with their friends. 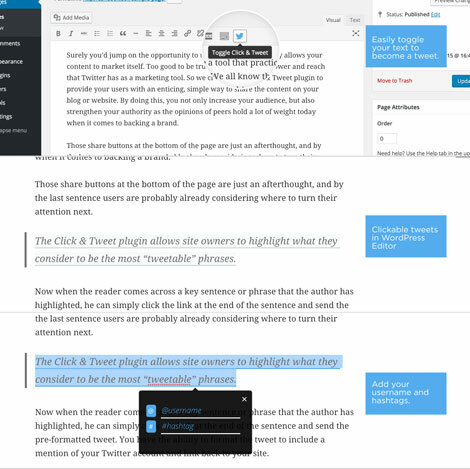 Click & Tweet for WordPress is handy plugin that lets you turn phrases or sentences into easily tweetable links.